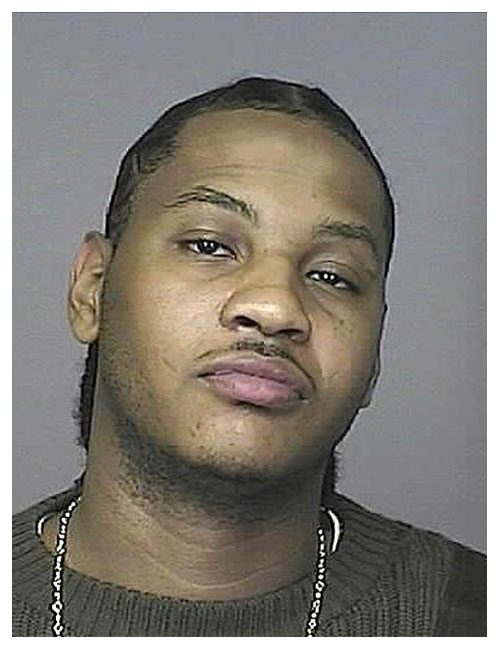 NBA star Carmelo Anthony was arrested in April 2008 by Colorado police and charged with drunk driving. According to cops, the Denver Nuggets forward was pulled over after police saw his silver Mercedes weaving and failing to dim its lights. The two-time All-Star, 23, failed a series of field sobriety tests and was taken to a Denver Police Department lockup where he consented to a blood test and posed for this mug shot. Submitted by greglisi on Wed, 2011-03-23 15:58. Wow ! He's cute too. ! and a pleasant attitutde to go with it .